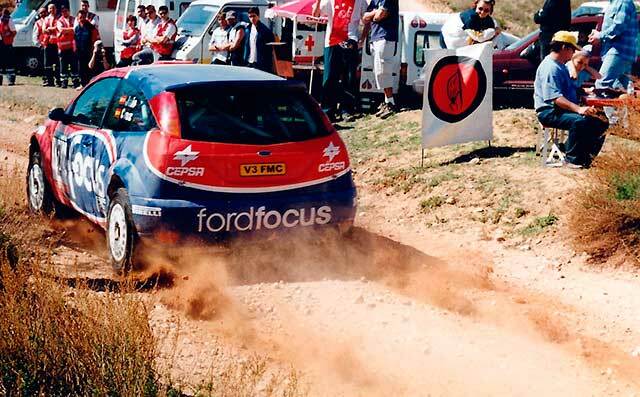 The special stage is undoubtedly the most characteristic and most important part of a rally. It is the time to give the best of yourself trying to be the fastest to cover the route marked by the organization. The synchronization and mutual trust between driver and co-driver becomes essential for several minutes. The path to glory, failure or drama passes through this part of the race. Spectators are lined up on the roadside to monitor the development and running of the participating teams. It is without doubt the most spectacular part of a rally and what makes a driver and a co-driver enjoy (or suffer) the outcomes of the rally. Once the T.C (Time Control) sign is passed it is time to get everything ready before the countdown. All that needs to be in your hands are the notebook with the special stage notes, the time card to hand over to the marshal, and a pencil in case there is a need to make any corrections. The watch (or watches) must be set to take the time of the stage and all other things should be tucked away in your hand bag which should be properly secured to prevent movement. Ensuring that the helmets and all harness are fastened and in place, the intercom in the right volume, it is time to relax, concentrate and read over the short comments for the stage written during recce. Usually you can see the car in front when it leaves the start (actual start) of the stage. We will follow the path and the marshal will give us instructions on where to stop before the bumper cuts the beam that starts recording our time. Once there, we will hand our card to the marshal where he will write down and sign our actual start (depending on any delays due to cars in front). There is usually a one or two minute interval between cars unless otherwise noted down. The first couple of notes have already been delivered during the countdown but now the notes start to be sung again in this brief moment of time called the Special Stage. This is the moment right before the start where the heart begins to beat heavily, concentration reached the max and we anticipate the final countdown….5…4…3…2…1…GO! From this moment, all your focus should be on the road and in the pacenotes. As important is to look at the pacenotes carefully enough to avoid mistakes when reading or skip a line, like looking at the road to see what’s coming, adjust the reading to the pace you carry and so sing the curves with the right advance Wishing you listen driver. If you have to read sentences very quickly without power off the notebook look accumulate, we can know what we stretch curve guided by the inertia transmitted to our body. If your body hanging from the harness runs like a puppet or puppet can it were make up your mind that you’re in that corner you were annotated with the phrase “Curb Mucho”, or if the body dances you from side to another know the meaning of the curve taken considering that the body will always move towards the opposite direction of the curve that you are taking side (if you have tightened the belts you will notice right away). It is time to implement the advice we explain in the section on how to sing the pacenotes. We must remember the importance of recently passed a sheet, it is interesting to separate the current sheet as follows to avoid errors and spend several sheets at a time. If you wait to get the blade to when you have to pass it, you can find difficulties at the worst time. It will be important to heed the symbols we have made in the pacenotes to mark the rhythm of reading. For groups of curves must emphasize sing very straight, it is often desirable to emphasize the group of curves with one or two lines depending on whether to sing fast or very fast. Should be very hot (and this in a race car is quite common even when the outside temperature is not too high), we should not wait for the fall Gotilla of sweat trickles noticed that front. If we can we remove it before that happens. Or at least we prevent sweat from all over the pacenotes if causes blotches, or we get into the eyes causing the typical sting that would only obscure vision and distract us from our mission. If the stretch is long enough, we can take some intermediate time coinciding with a more relaxed area on our stressful work. Thus we can compare it with the following passes through the same point to see if we are better or worse. It is exciting to feel the responsibility of becoming eyes passenger in low visibility. If there is confidence, your every order will be executed by the driver with determination. Your performance will be critical to make the most of the situation but whatever your mistake will result in a more than certain accident. Once you have crossed the finish banner we remember to stop the clock and keep singing the back curves to avoid a possible accident overconfidence and stretch out. Within seconds we stand on the Stop Control so that we get the Carnet Control to give to the commissioners. In it we recorded the arrival time in hours, minutes, seconds and tenths or hundredths of a second (if the device which measures the weather permits). Once the data recorded will be time to check which are similar to those we have taken with our own stopwatch to claim any timing error if any. Going back to the time of departure to stretch, it may be that at this moment we are notified that has neutralized the stretch for some special reason (accident, excess or poor positioning of the public, etc …) In that case follow the signs for Commissioners and if you can go through the stretch we will reduced and the speed hulls removed. This is where it is important to have some communication system (headset) to take advantage of the stretch to review and correct the pacenotes to the driver. Inside race car there is usually an unbearable noise and better use these devices to stay hoarse from screaming to singing the pacenotes. It is very important not to go too slow (but always at a permitted speed) because the time allotted to cover this sector is the same as if we had done to stop the share of timed section. This experience that I have described will live many times as there are special stages. The sections will alternate with feeder lines, assists, regrouping, etc. which we have been describing in their respective sections. No two special stages equal. Even if the third pass on the same stretch the situation is different. The road may be dirtier by the passage of the participants, the pressure may be higher than in other past should be options to get a good result, any time there may be a scare, a breakdown or an accident. 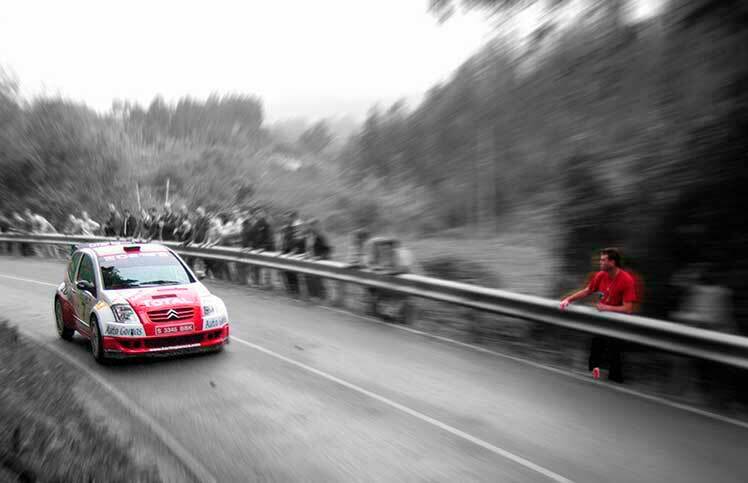 This is the greatness of rallying. They are unpredictable as could be and no one can be sure of anything not even once exceeded the goal of the last special stage of the rally. If you enjoyed this article please feel free to share it with your friends through social networks and if you like and you do not, you can follow all the news from our website through Facebook, Twitter, Google + or follow our videos inner chamber through our YouTube Channel.